As point-of-sale (POS) technology continues to advance, the cash registerbegins to fade away seeming more and more like a vintage machine. POS systems make life a lot easier for retail/restaurant owners and employees. It’s not just useful for sales transactions, but it offers many other useful features as well. Today we keep things basic by defining popular terms like POS, POS system, mobile POS, and POS transaction. A POS or point-of-sale is any location where a sales transaction is made, which can literally be anywhere, but most likely a restaurant, retail store, hotel, etc. A POS Systemis simply the central hub of any business, as well as the combination of hardware and software. It is also the place where a customer executes payment for goods or services, but it can also do so much more like inventory control, data reporting and analytics, customer relations management, just to name a few benefits. A standard POS system includes a computer, software, printer, barcode scanner, and a credit card reader. Cloud-based systems that run on mobile devices don’t require a physical server on site because all software is accessed and saved online. A mobile POS can go with you anywhere. With a click of a button you can make a sales transaction, and have access to your data, inventory, and more. 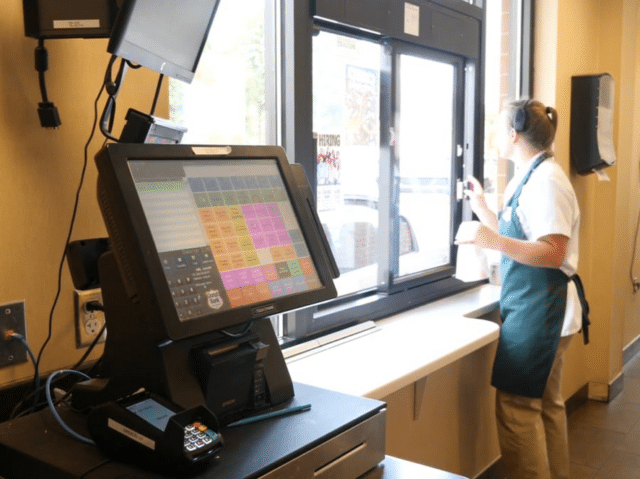 If you own a restaurant take advantage of these restaurant POS applications: tableside ordering; drive thru line busting; store-to-store transfers; and more! Apply your retail POS applicationsin much the same way: line busting; order creation on the floor; and purchase order creation. A POS transaction can also be known as a POS purchase, which is the point of sale purchase or “point” where a customer pays in exchange for goods and services. It can be any form of payment like cash, debit, credit, and mobile. The completion of the transaction happens when a pin number, signature, or fingerprint is authenticated and authorized. Now that you are much more familiar with the popular terms surrounding the POS world, you can clearly make a distinction between the terminology. Need to talk to an expert about your POS needs for your business? Give Bepoz a call to set up a free demo.